gunnar is using Smore newsletters to spread the word online. all living things are made of carbon. 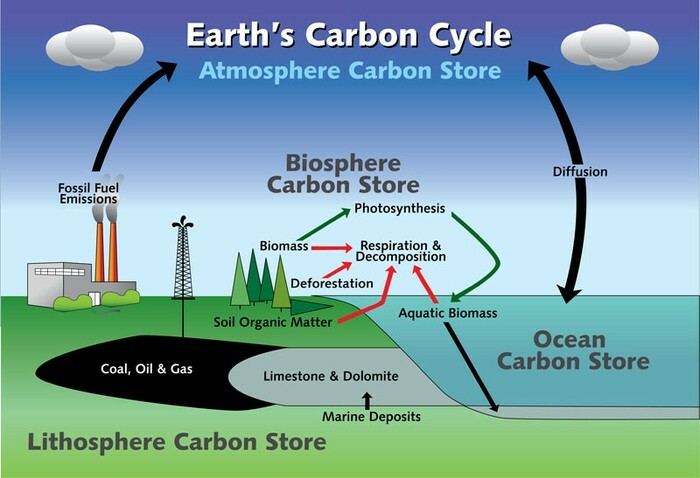 Carbon is also a part of the ocean, air, and even rocks. Because the Earth is a dynamic place, carbon does not stay still. Plants use Carbon dioxide and sunlight to make their own food and grow. The carbon becomes part of the plant. Plants that die are buried may turn into fossil fuels made carbon like coal and fuels, most of the carbon quickly enters the atmosphere as carbon dioxide. Carbon dioxide is a greenhouse gas and traps heat in the atmosphere. Without it and other greenhouses gasses, Earth would be a frozen world. But humans have burned so much fuel that there is about 30% more carbon dioxide in the air today than there was about 150 years ago, and earth is becoming a warmer place. In fact, ice cores show us that there is now more carbon dioxide in the atmosphere than tree has been in the last 420,000 years. 5 Fun Facts About Carbon!!! 1. Carbon is the basis for organic chemistry, as it occurs in all living organisms. 4. Carbon is made in the interiors of stars, though it was not produced in the Big Bang. 5. Pure Carbon exists free in nature and has been known since prehistoric time. Carbon helps food stay fresh,the carbon cycle is relatively simple. From a biological perspective, the key events here are the complementary reactions respiration and photosynthesis. Respiration takes carbohydrates and oxygen and combines them to produce carbon dioxide, water, and energy. Photosynthesis takes carbon dioxide and water and produces carbohydrates and oxygen. The outputs of respiration are the inputs of photosynthesis, and the outputs of photosynthesis are the inputs of respiration. The reactions are also complementary in the way they deal with energy. Photosynthesis takes energy from the sun and stores it in the carbon-carbon bonds of carbohydrates; respiration releases that energy. Both plants and animal in respiration , but only plants (and other producers) can carry on photosynthesis. The chief reservoirs for carbon dioxide are in the oceans and in rock. Carbon dioxide dissolves readily in water. Once there, it may precipitate (fall out of solution) as a solid rock known as calcium carbonate (limestone). Corals and algae encourage this reaction and build up limestone reefs in the process. On land and in the water, plants take up carbon dioxide and convert it into carbohydrates through photosynthesis. This carbon in the plants now has 3 possible fates. It can be liberated to the atmosphere by the plant through respiration. Biogeochemical cycle: Cycling or material through biotic and abiotic factors. Photosynthesis; Process by which photoautotrophs trap solar energy and use it to make sugar and O2. Resperation: Process where food molecules are broken down to produce energy and CO2. Reservoir: Temporary holding place for Carbon. Biosphere: Any area that supports life. Biomass: Total mass of all biotic factors. Ocean Carbon: largest resovoir of Carbon. Organic Molecule: Molecules that contain carbon. Carbon is found free in nature in three allotropic forms: amorphous, graphite, and diamond. Graphite is one of the softest known materials while diamond is one of the hardest. Carbon, as microscopic diamonds, is found in some meteorites. Natural diamonds are found in ancient volcanic "pipes" such as found in South Africa. Diamonds are also recovered from the ocean floor off the Cape of Good Hope.